College staff members Greg Brown, Stu Hain, Nancy Nicely, Janet Semler, and Susan Smythe held a press briefing on Wednesday, September 6 to discuss completed and ongoing construction efforts. Student representatives from The Phoenix (Evangela Shread ‘20) and The Daily Gazette (Ethan Yoo ‘19) were present to report for their respective publications. The briefing was intended to provide general construction updates to the Swarthmore community. Ongoing projects on the official agenda for discussion included Whittier Hall, BEP, the PPR Apartments, Hormel-Nguyen Intercultural Center, and Cunningham Fields South Parking Lot. Greg Brown, Vice President for Finance and Administration, presented a packet with a page dedicated to each project’s purpose, status, and potential issues they might encounter or have already run into during their management. Brown began the meeting by noting the installation of new bathrooms in Pittenger and Palmer that occurred this past summer. This was not on the official agenda, but Brown thought it important to mention. “It is seen very favorably [by students],” he said. Brown went on to explain that Janet Semler is managing the BEP and Cunningham Parking Lot projects, while Susan Smythe is the project manager for Sproul Hall (i.e. Hormel-Nguyen Intercultural Center), the apartments, and Whittier Hall. Brown described Whittier Hall as a “flexible space,” which will allow for future departmental conversion as needed. 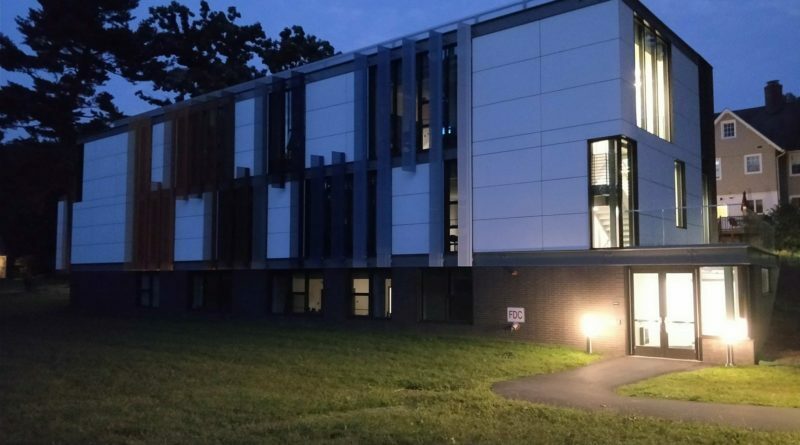 The building was completed in late May with the Psychology and Engineering Departments’ shops moving in shortly after. Whittier Hall is still undergoing work, but upon its completion, the Art Department’s studio space will also transfer there. The project is expected to complete under budget. BEP is having its foundation placed with the expectation that “Phase I” of the building will be complete by fall 2019 and the project will be fully complete by fall 2020. Hicks Hall will remain “up and usable during the construction period until the last year,” Brown stated, after which Hicks will come down, and faculty offices and common spaces will replace the space. Sustainability features will be built into the space “from day one,” according to Brown. 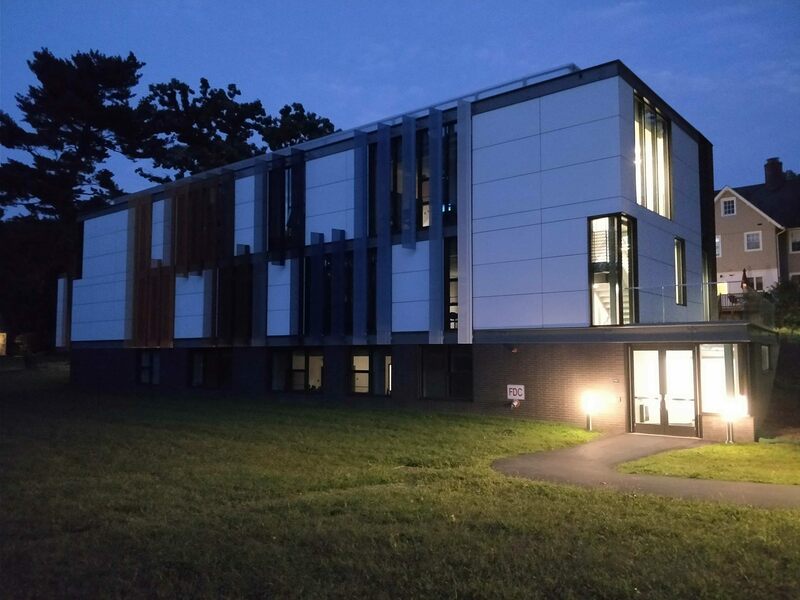 Brown and Smythe described the PPR Apartments as the “most sustainable residence hall” and “on par with” Whittier Hall – the first building constructed under Swarthmore’s Environmental Sustainability Framework – in terms of all College-owned buildings. For example, the baseball outfield was temporarily dug up during construction to place a geothermal well field. Solar receptors are visible on the roof, which Brown described as “the most visible solar panels on campus.” He described this decision as an “educational component” to show students that the school is committed to sustainability. Contractors are expected to continue working for another month. Landscaping is expected to remain as the final phase. The 1911 telescope from what was formerly Sproul Hall has a new home in Arkansas with the non-profit Supporting STEM and Space, Inc.. The organization has “long wanted to do astronomy as part of their program, but had never had the equipment,” Brown said. More information on this initiative can be found on the organization’s website. Sproul Hall will be repurposed as the Hormel-Nguyen Intercultural Center by next fall. This space will not replace the current Intercultural Center but rather serve as an expansion space for additional community programs. The project is funded through a gift from two alumni. The final construction effort on Brown’s list was Cunningham Fields South Parking Lot. This lot and Mary Lyon will serve as student parking lots, due to the loss of parking spaces by way of other construction projects. This project included the addition of a pedestrian crossing on Chester Road in an effort to improve safety and convenience. Entrance to the parking lot is managed by OneCard access. The staff members stressed their dedication to the Sustainability Framework throughout the meeting. For example, “storm water management” was discussed by the staff, of whom Stu Hain, Janet Semler, and Greg Brown stated that it exceeds Swarthmore Borough requirements. When asked by Evangela Shread ‘20 whether the construction of the PPR Apartments had been more expensive than previous dormitories as a result, Brown responded that it had actually cost less than previous construction efforts on a square footage basis. Although it was not officially included in the construction update, both student representatives raised questions about accessibility. Evangela Shread ‘20 asked about the Palmer-Pittenger link to which Smythe responded that it will have a ramp for wheelchair accessibility; students will also be able to enter this connection by OneCard. The staff members expect the Palmer-Pittenger link to be completed by the end of September, with the possibility that the connection will become the new main entrance by student choice to both residence halls. Renovation work for Roberts Hall is also scheduled for next summer. When asked by Ethan Yoo ‘19 whether there were plans to make Lang Concert Hall more accessible, Smythe responded that there are no plans for renovating the concert hall. Smythe noted that it would be a “monstrous” undertaking, due to the building’s location, that the College is unwilling and not obligated to assume. She acknowledged that the campus is “dependent on [single] elevators,” while Brown stated that repairs were completed on the elevator in Lang Music Building last year. Brown also referenced the handrailings that were added to the stairs two summers ago. According to Susan Smythe, the College is only required to have three percent accessibility in terms of residential spaces, which it is “well, well over”, concerning what is readily achievable by constraints such as cost and structural change. As such, there are also no plans to make residence halls Worth, Woolman, or Wharton accessible. The accessible dormitories will remain Alice Paul, David Kemp, Willets, Danawell, Parrish, and the PPR Apartments. Smythe also reasoned that the dormitories are “geographically dispersed.” The College staff stated that they do have [unspecified] accessibility changes planned in Mary Lyon Residence Hall for next summer. ← What does SwatStrology Week Two Have Planned For You?